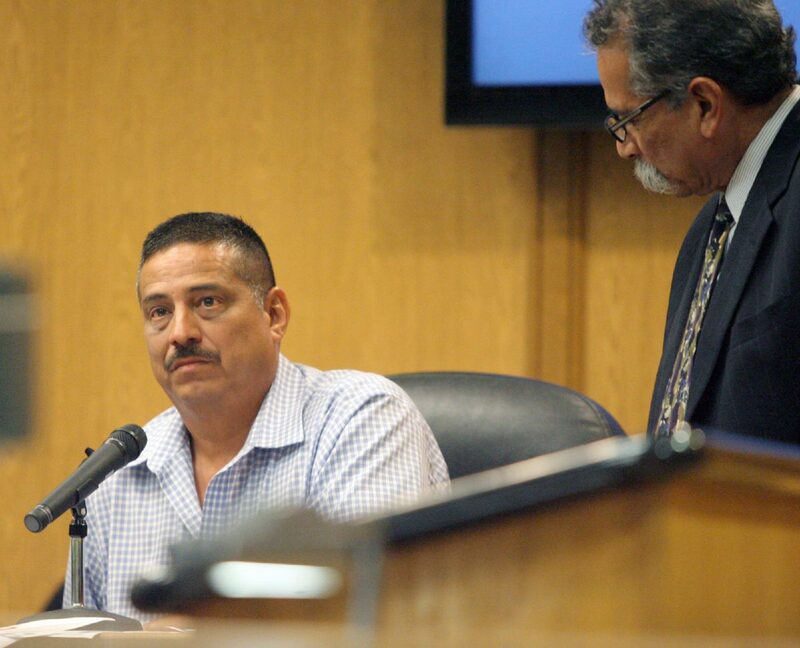 EDINBURG — The beginning of the third week in the Monica Melissa Patterson capital murder trial took a dramatic turn Tuesday after prosecutors called to the stand a former San Juan city commissioner who admitted to having an affair with the defendant. Knowing it was going to be discussed in court, Heriberto “Eddie” Suarez said it was only this morning that he told his wife about the affair with Patterson, which he said lasted from 2014 to Patterson’s August 2015 arrest. Suarez, 49, testified that he and Patterson, 50, are former high school classmates who reconnected at their 30-year reunion and began texting regularly. When questioning Suarez, Assistant Criminal District Attorney Joseph Orendain did not shy away from discussing the sexual nature of their affair. At the time Patterson became administrator of Comfort House, the McAllen hospice center where she served as administrator until her arrest for capital murder, she paid Suarez to do odd jobs around the facility. Heriberto "Eddie" Suarez, former San Juan city commissioner, testifies during the Monica Melissa Patterson trial Tuesday Oct. 10, 2017, in the 370th District Court in Edinburg. Monica Melissa Patterson looks toward the gallery during her trial in the 370th District Court on Tuesday Oct. 10, 2017 in Edinburg. 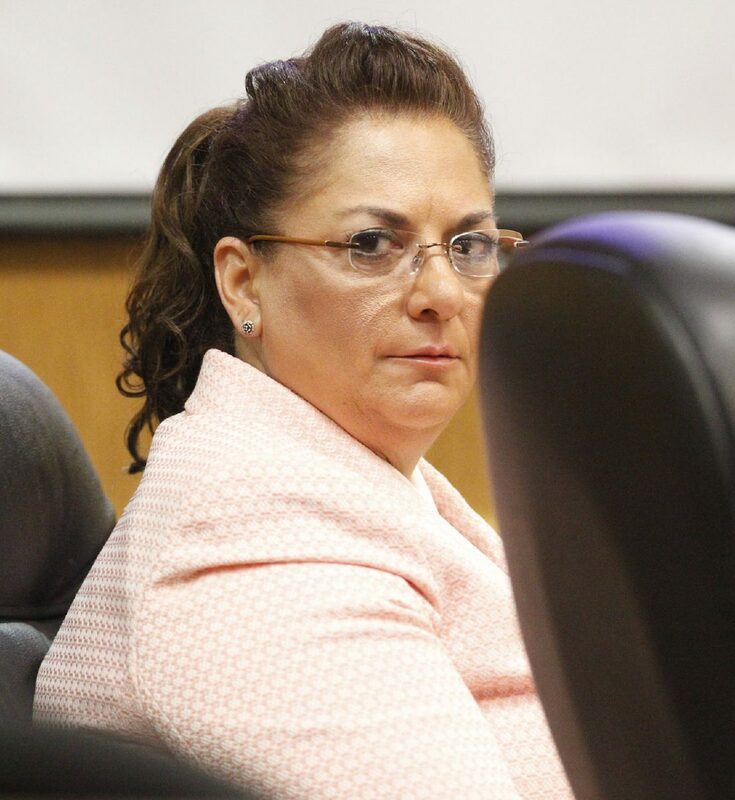 Suarez, who served on the San Juan City Commission between 2009 and May 2015, told jurors he went to weekly lunches with Patterson — who paid for the meals — and that she often stopped by his work with Stripes breakfast tacos for him and his co-workers. They also went to Las Vegas together and she gave him $10,000 in cash to pay off overdue taxes, according to Suarez’s testimony. Suarez said he never asked Patterson how she paid for these things or where she obtained the large amount of cash. Orendain, however, showed the jury during the trial’s first week a Falcon International Bank statement that was linked to a Comfort House debit card which Patterson opened, listing purchases from Stripes, Caesars Palace in Las Vegas and a La Quinta Inn & Suites in McAllen, where Suarez testified he and Patterson rendezvoused. Through his relationship with Patterson, Suarez met Martin Knell Sr., the 96-year-old man the prosecution alleges Patterson killed in January 2015 in order to gain control of his estate. Knell’s money, Suarez said, was a topic of conversation Patterson willingly brought up during get-togethers with their high school classmates, social events where she frequently picked up the tab. But when Orendain directly asked Suarez about his knowledge of Patterson’s involvement with Knell’s money, he couldn’t remember anything, such as a text conversation on Oct. 22, 2014. It was on this day — the day before Knell’s wife Thelma died at Comfort House — that Knell gave Patterson $150,000 in cash. “Is it true that on that day, (Patterson) told you, ‘today was almost perfect for me and it’s not over yet. Thanks for being a part of that,’” Orendain asked, reading from a record of Suarez’s cellphone that Hidalgo County Sheriff’s Office investigators collected with his consent during the course of their investigation into Patterson. Despite reading over the records, which were not shown to the jury because they were not entered into evidence, Suarez said he could not remember what the conversation was about, a theme that continued throughout his testimony, even after he looked over his affidavits. He also couldn’t remember a text conversation from Dec. 8, 2014, or the details surrounding it, in which Patterson texted him that she had just finished something and it “had gone better than (she) thought.” Suarez replied, “Good for you. Very, very happy for you, Melissa,” Orendain said, reading from their text messages. Suarez, however, told Orendain he couldn’t remember what the “outcome” was about. Through the testimony of attorney Mark Talbot, jurors learned that on that December day in question Knell met with Talbot to sign various documents, including those granting Patterson medical power of attorney, in addition to a medical disclosure form and a directive to physicians. Suarez’s inability to remember visibly frustrated Orendain, and at times the exchange between them became heated. When it came time for defense attorney Fernando Mancias to cross-examine Suarez, he avoided the witness’s relationship with Patterson, instead focusing on Suarez’s feelings after being interrogated twice by investigators with the sheriff’s office and the Texas Department of Public Safety. Whereas Suarez couldn’t remember details about his text conversations, his memory seemed to return during the defense’s cross-examination. For instance, he was able to recall the appearances of the investigators. Through his line of questioning, Mancias was able to steer Suarez into testifying that these investigations made him feel “threatened” and like a suspect in the murder case. Instead, he told Mancias he was “probably” talking about his brother with Patterson, since Suarez’s brother was hospitalized during that time. Day 12 in the Patterson trial begins Wednesday with prosecutors continuing to make their case against the defendant.